He also visits the most delicious man-made pools, such as the Brine Baths in Droitwich, Worcestershire, to the Grade II-listed unheated Parliament Hill Lido, devised by Berthold Lubetkin, the same designer who created London Zoo’s penguin pool. It’s these intriguing details scattered with poetic flights of fancy and Deakin’s reflections on his experiences that make this book such an elegant, immersive read. 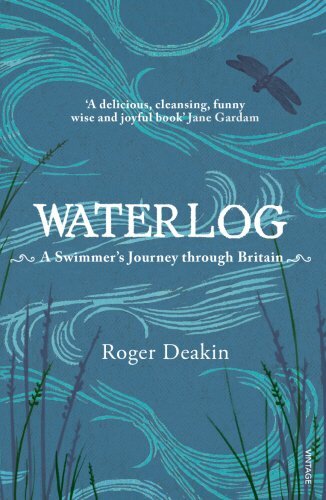 Waterlog: A Swimmer’s Journey Through Britain by Roger Deakin is available to buy from Amazon. This entry was posted in Reviews and tagged Book reviews, Roger Deakin, Waterlog by Judy. Bookmark the permalink.